Bamboo ring featuring baguette cut diamonds in a five row interlocking design. Featuring an 8ct Emerald cut diamond (shown) or a variety of diamond shapes and sizes. 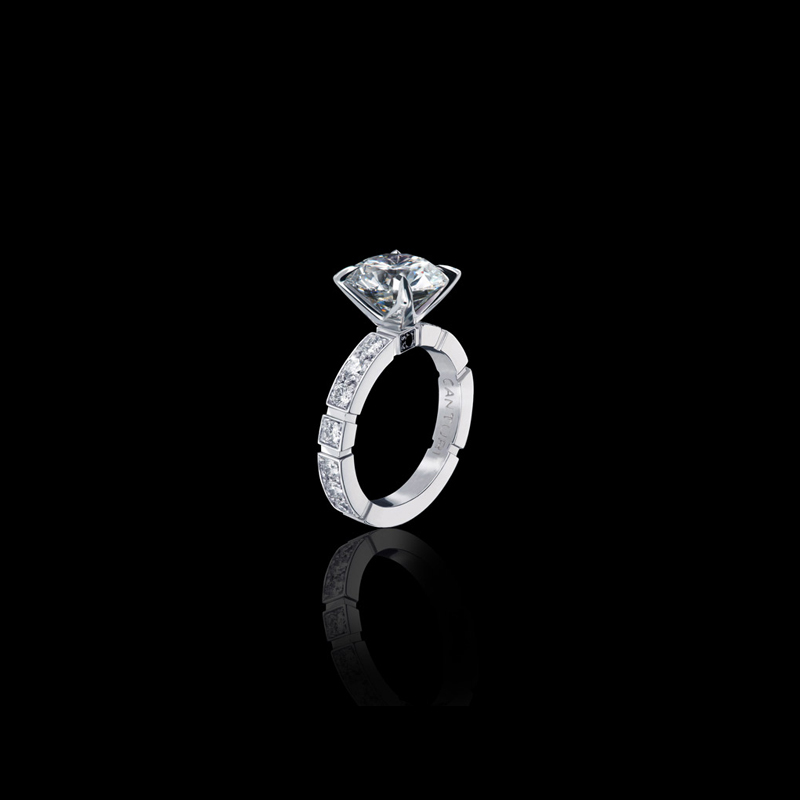 In 18ct white gold.